A high level source inside the military has now confirmed to us that Dyess Air Force base is actively moving nuclear warheads to the East Coast of the United States in a secret transfer that has no paper trail. 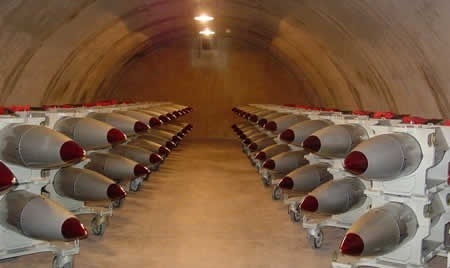 According to the high level military source, who has a strong record of continually being proven correct in deep military activity, the Dyess Air Force Commander authorized unknown parties to transfer the nuclear warheads to an unknown location that has been reported to be South Carolina, where the warheads will then be picked up and potentially utilized. This is of particular interest not only due to the fact that the Syrian situation has escalated to the point of a very realistic hot war scenario, but due to the fact that Dyess has repeatedly denied the existence of nuclear warheads inside the base. The fact that this transfer was not signed for and there were no papers is key. It shows how the military is now secretly operating with the transfer of nuclear weapons, and what’s more, we know that DERMO (a military base in Florida) is a hotbed of special operations. 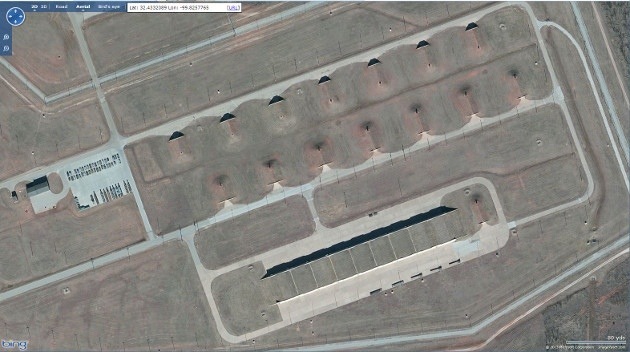 Why is DERMO operating the nuclear warheads out of Dyess Air Force base with no paper trail? This shows that this is a highly secretive, black ops style move here that the military does not want on record. The fact is that they don’t move all of these assets unless they plan on using them. Nuclear warheads are not simply moved to the East Coast for no reason, and the bottom line is that these missiles are likely being used for something even much greater than Syria. 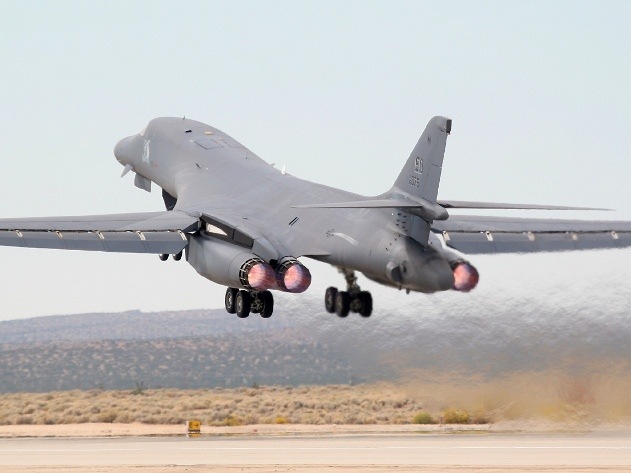 This leak inside the military industrial complex comes after prior sources have also revealed to us that B-1′s and B-2 bombers were ordered to head out of their respective bases (B-1B’s leaving Dyess specifically) across the nation and they haven’t come back. All of this is happening amid the growing Syrian crisis that has developed amid the ignition of a WW3-level wrestling match between the United States and Russia. Now, based on the transfer to South Carolina that is not on record and was not signed for, we may be looking at a pattern that reveals an extremely hot war scenario. And here’s what’s essential to understand: There’s no question that the Syrian issue is huge, and it’s very possible that the US military is now under orders by Obama to prepare a strike, but the reality is that the much greater issue here is what’s going on with the US and Russia. What we’re seeing here is a proxy war turned hot with Syria, and we’ve been covering this for months now. Even the mainstream media has reported in the past how the evolution of war in Syria has turned into a hot proxy war against Russia via the Syrian rebels and Assad’s troops. We now even have the Russian media openly discussing the hot war by the United States against Russia and how this will essentially lead to World War 3. But the fact of the matter is that we’re already progressively moving towards World War 3 . Obama and United States officials are already talking about boots on the ground in Syria and taking down the Russian-backed Assad regime. They are already moving forward following the blatantly staged chemical attacks that were absolutely carried out by the Obama-funded Syrian rebels in order to initiate a war scenario. Why do you think Obama has been aiding in the training, funding, and supplying of the bloodthirsty Syrian rebels since 2011 through secret orders admitted by Reuters? The entire angle here is not to help the civilians of Syria, who the Obama-backed rebels already are beheading and murdering to cheering crowds. No, this has always been a buildup to a World War 3 scenario between Russia and the United States. And now, with the absolute insanity of Obama and the military industrial complex pushing these wars, it’s here. Nuclear weapons held in bunker, similar to the reports of the high level military source. I have spoken to my connections in the Russian media and they are all confirming that World War 3 is the hottest topic right now amid the populace, and the fact of the matter is that all of the top level military officials over there are looking at this Syrian incident as the catalyst — as the spark. There’s a reason that Russia has begun amassing 160,000 troops and heavy military equipment following an Israeli strike on Russian missiles in Syria. There’s a reason that the troops were called along with naval ships and bombers to attain ‘immediate combat readiness’ along the border. We reported on this months ago while the media was too busy focusing on the Trayvon Martin case to talk about the ignition of World War 3. What we’re looking at right now is the beginning of World War 3 unless we manage to stop it. The elite are crazy enough and drunk enough with power to launch anything if it means advancing their vast lust for power and control. Thankfully, we now have a public that is much more awake to what’s going on and able to put a speed bump in the overall war plan as admitted by Obama adviser Zbigniew Brzezinski last week, but it will take a lot of awakening to stop Obama from launching these attacks that have been in the works for years. We encourage you to continue checking out Infowars and Storyleak for more updates on this and the latest news and information we find out on this developing situation. A Hiroshima victim of the nuclear strike — what everyone has to look forward to in the event of a nuclear war that is on the horizon if we don’t turn things around.